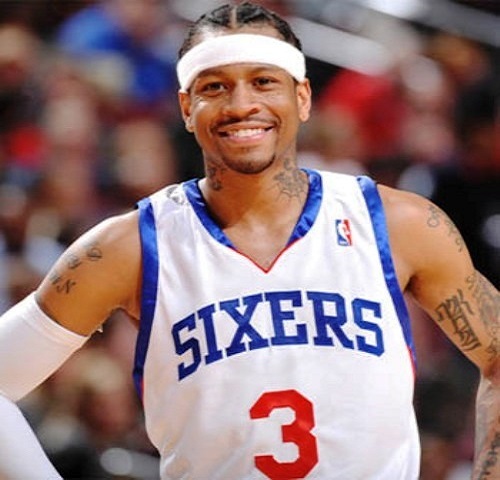 Home » Hoops » QUESTION: IS ALLEN IVERSON A HALL OF FAMER? QUESTION: IS ALLEN IVERSON A HALL OF FAMER? Allen Iverson was one of the most prolific scorers in NBA history. He had a career average of 26.7 points per game. The Philadelphia 76ers drafted Iverson to be the savior of their inept NBA franchise. The city of Philadelphia was in desperate need of a player who brought stability to their franchise. NBA Hall of Famer Charles Barkley was the last superstar who played for the 76ers before Iverson’s arrival. Barkley was traded to Phoenix in 1993, where he led the Suns to the NBA Finals. After the Barkley trade Philadelphia endured multiple seasons of losing with no star-caliber player in sight. Allen Iverson brought instant excitement to the NBA when he entered the league out of Georgetown University. During the mid 90’s the league had never seen a player as quick and explosive as Iverson. The miniature guard was one of the best ball-handlers in NBA history. A craft he used to break down defenses and embarrass opposing defenders in I-so (isolation) situations. Iverson’s rookie year brought forth a new version of the cross-over dribble. During the early portion of his career, the cross-over was the most exciting move in the NBA. Iverson enhanced a general basketball move and made it an un-guardable weapon. One of the many highlights of Iverson’s career occurred during his rookie season. Who could forget the day Iverson put Michael Jordan on “skates” by doing two consecutive cross-overs and making the shot. He accomplished some of the highest player achievements in the NBA. In 2001 Iverson won the NBA Most Valuable Player Award (MVP) while leading the league in scoring at 31.1 points per game. He was an eleven time NBA All-Star and the winner of four NBA scoring titles. The 2000-2001 season, was the best of Iverson’s career as a pro. Philadelphia finished with a regular season record of 56-26 and a trip to the 2001 NBA Finals. The only accomplishment he could not achieve was winning an NBA Championship. His under-manned 76ers lost to the Los Angeles Lakers in 5 games of the 2001 Finals.